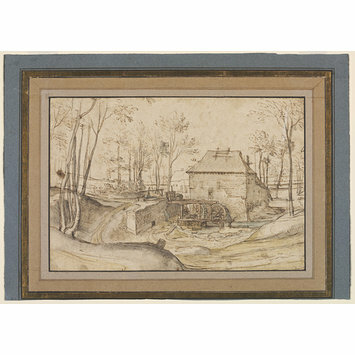 Watermill in a wooded landscape, a roadway leading from the foreground to a wooden bridge on the left; Drawn in pen, washed and slightly tinted, on paper. Inscribed at lower right, in brown ink (with the museum’s Dyce inv. no. ), 528. 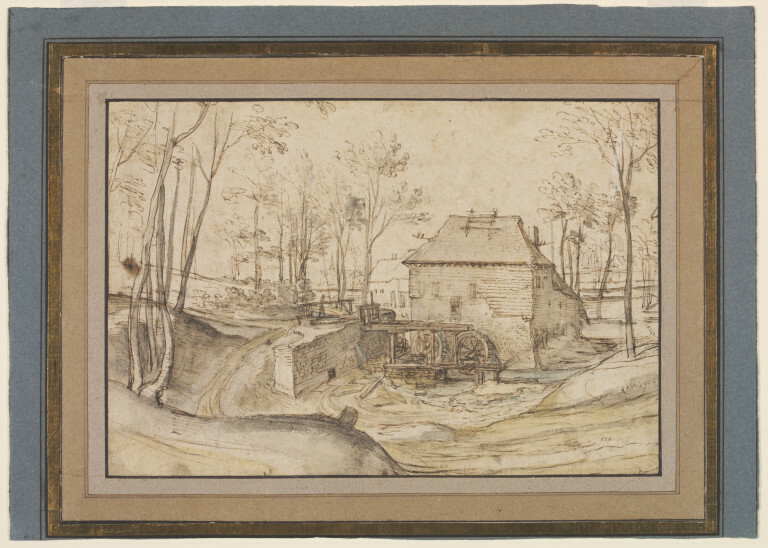 Inscribed on verso of old washed mount, at upper left corner, in graphite, Brueghel. A.P.F. Robert-Dumesnil (1778–1864), Paris (L. 2200); Rev. Alexander Dyce (1798–1869), London, by whom bequeathed to the museum (L. Suppl. 153b), 1869. Jane Shoaf Turner and Christopher White, Catalogue of Dutch and Flemish Drawings in the Victoria and Albert Museum, London, 2014, vol. II, Cat. 458, illus.